All, please install Alwarren’s CiA_Fatigue mod for tomorrow’s game. We are putting that on short notice because we’d like to get as much feedback and leave the vanilla Stamina abomination behind us as fast as possible. 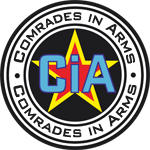 PwS and Arma3Sync CiA profiles will be updated today. If for some reason you won’t get the chance to update before tomorrow’s game we will help you get set-up before starting.